Continental Italia announces the agreement signed with RCS Sport for the sponsorship of the Giro d’Italia for the next three years. The partnership sees Continental take on the role of Official Partner, which will guarantee the brand high levels of visibility nationwide, thanks to both territorial marketing activities and presence on the RCS’s various media channels. The partnership with the Giro – which takes place from the 4th to the 27th of May 2018 – is the latest addition to a number of high profile cycling sponsorships recently signed by the German manufacturer. Continental uses premium technology in all the tyres it develops and the competition cycling tyres are no exception. The passion and skill of professional cycling form the perfect setting to highlight the important role of the tyres in terms of both performance and safety for the athletes. 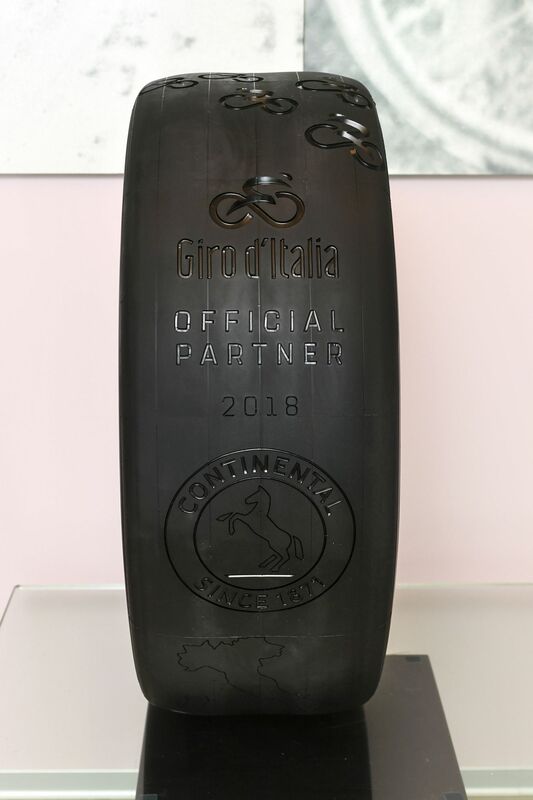 Continental’s presence in the Giro is part of a wider strategy that positions the brand at the forefront of professional cycling on an international level. Entry into the Giro completes the trio of the world’s most prestigious multi-stage races as the Group has previously announced partnerships with the Tour de France and the Vuelta a España. Further to the partnership with RCS Sport, Continental will be the Official Tyre of the Giro, collaborating with Shimano to supply both bicycle and car tyres for the neutral technical assistance team.